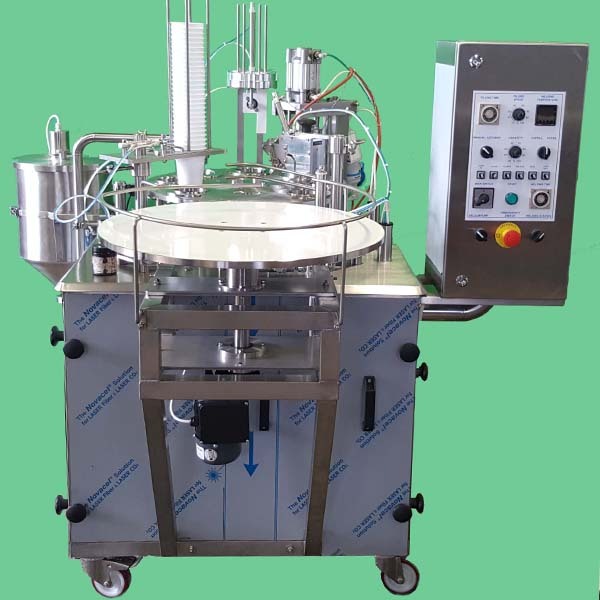 Semi automatic rotary cup filling and closing machine "JUNIOR ROTARY"
Semi automatic rotary filling and sealing machine with automated filling station and indexing drive. With "Junior Rotary" cup filling machines we are launching a simplified rotary machine which carries over features from automatic cup fillers to keep standards. 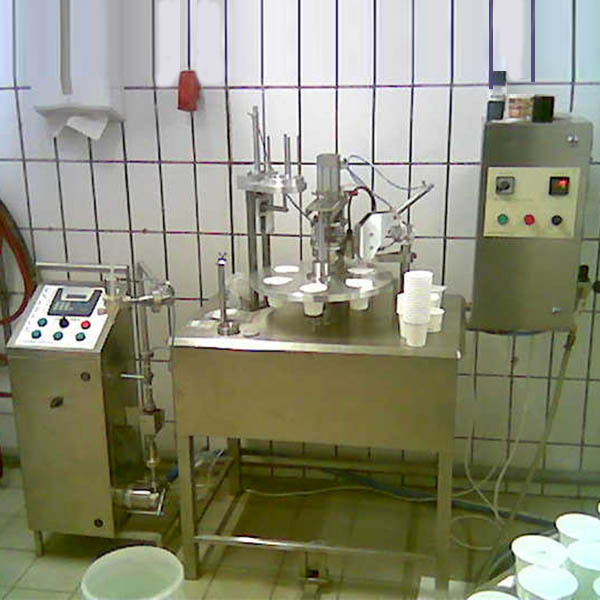 The cup filler is characterized by compact design and a reduced cup capacity, which is - depending on the cup size and volume - about 500-800 cups/hour. 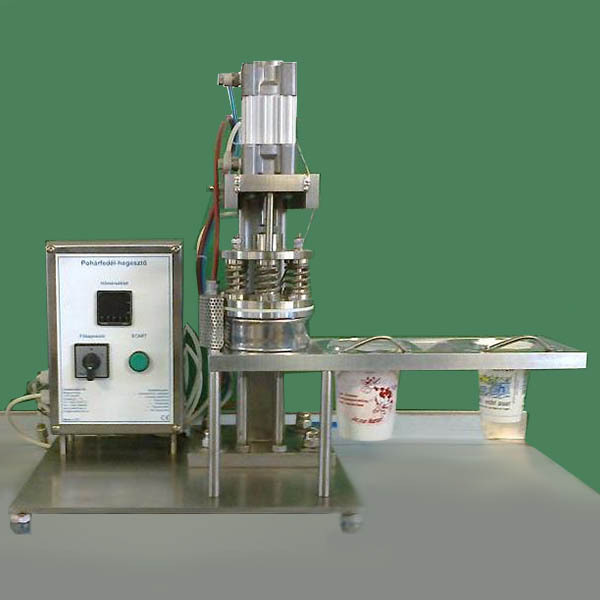 "JUNIOR ROTARY" semi automatic cup filler is designed for filling liquid products either in format 75 mm or in 95 mm, and in 50 – 500 ml volume cups. All stations are working automated, only the cup insert and cup removing is manually. A lifting device is mounted to lift the cups with about 20 mm to remove it easier. The rotary machine is made from stainless steel with an electrical operated indexing drive. The infinitely variable transmission is adjusted with a potentiometer on the front of the control box. 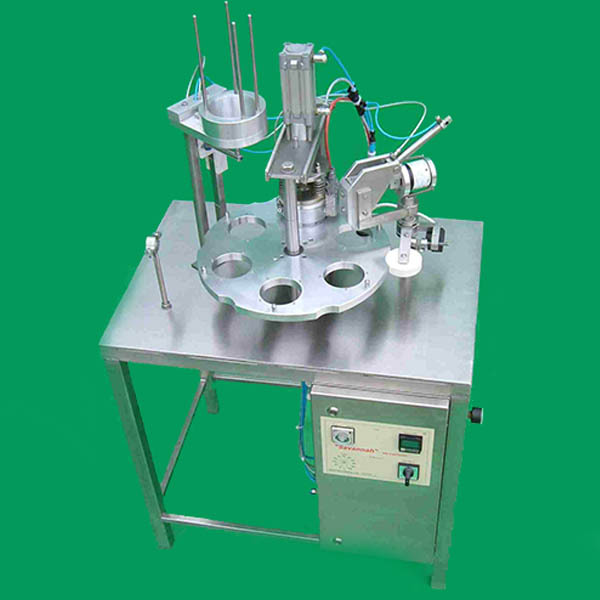 Manual table top cup sealer machine for pre-cut aluminum lids. "START KIT" to introduce your new products to the market. 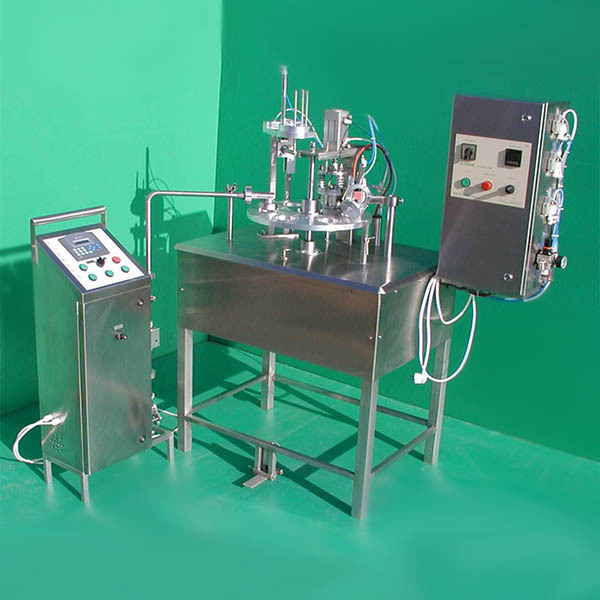 Full automatic cup filling and closing machine with pump dosing, for filling liquid and viscous products in containers. 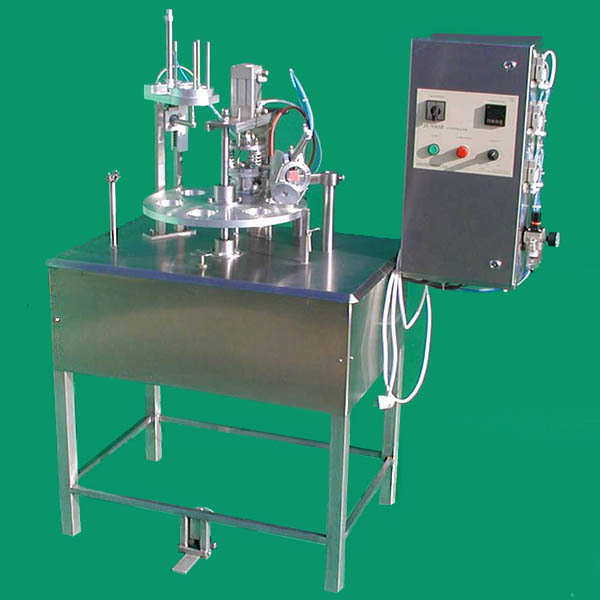 Semi automatic rotary cup filler with manual drive without filling station. Filling is performed with an auxiliary or stock product pump.